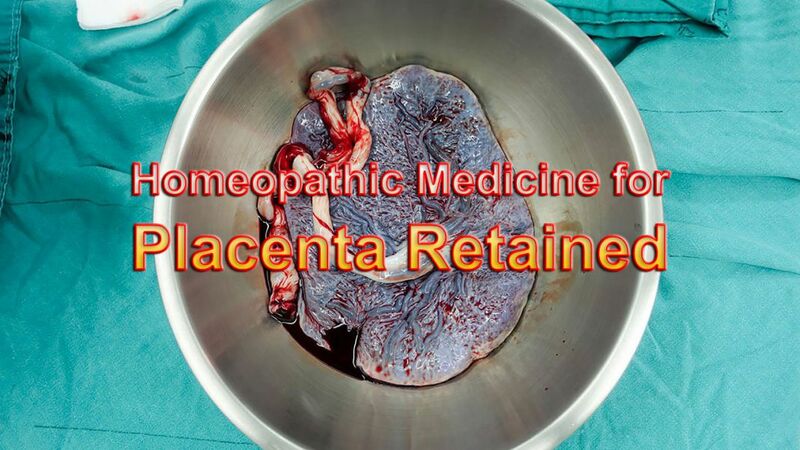 This is one of very important remedies in retained placenta. Sometimes it is prolonged more than half an hour. This prolongation of expulsion of the placenta is due the feeble contractions of the uterus. Contractions are too feeble to expel the placenta out and it remains adherent to uterus. Caulophyllum 30 or 200 will help if given every 15-20 minutes. Placenta retained and painful urination. The normal contracting power of the uterus is lost. Expulsive pains are also not present; hence placenta is retained. This remedy should be given to the ladies who are fleshy, mild, gentle, timid, of yielding disposition, easily disposed to weep or laugh, desire open air. When Pulsatilla lady is taken to the labor room, she always wants the windows and doors open, as she has great longing for open and cold air. When the regular labor pains start, just before delivery Pulsatilla 200 one dose helps her to get an easy delivery. Puls stimulates the action of the uterus during labor, when the uterus during labor; when the pains diminish and become insufficient. This dose just before delivery may help the lady to send out the placenta easily. Retention of placenta from atonic condition of uterus. Pains are paroxysmal and there occurs uterine colic due to the retained placenta. Retained placenta in the ladies with cachectic yellow face, with yellow saddle across the nose with male type pelvis with bearing down sensation.